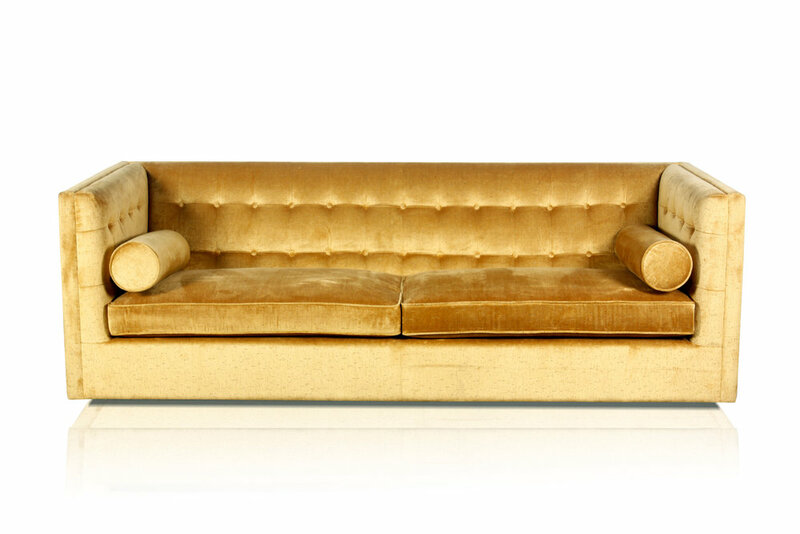 This is a classic sofa with an American Modern look right out of Hollywood. 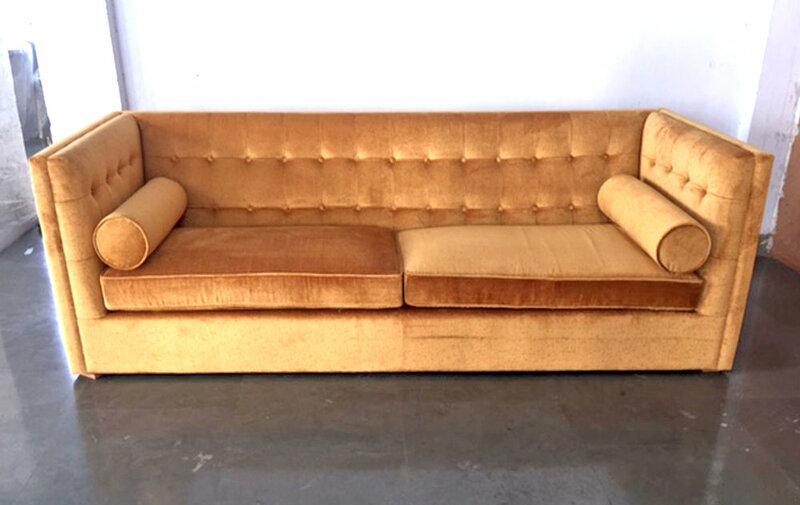 Shown here in gold velvet upholstery, it is completely customizable in upholstery options & dimensions. Dimensions: 96" x 36" x 31" sh 18"